In 2018, the Agricultural Reinvestment Fund received 90 applications and awarded grants to 6 grants to carry out entrepreneurial projects in agriculture. The grants were possible by generous support from the NC Tobacco Trust Fund Commission. The projects increased the success of farm businesses in North Carolina in addition to serving as demonstrations of entrepreneurship and innovation for farmers both across the state and the country. Read highlights from 2018 and more about the grantees below! 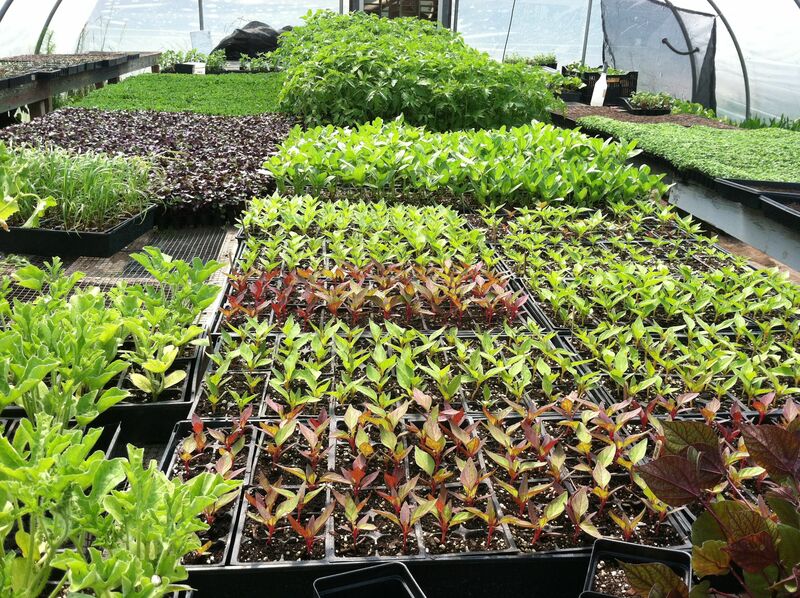 Flower seedlings in the greenhouse at Bluebird Meadows made possible by our Agricultural Reinvestment Fund grant program. Jim Pellegrini, Western Wake Farmers Market, Inc.